Traffic was up 40% from Wednesday for Blue Triangle’s retail customers. But the uptick in traffic comes with a cost: more site outages and slower page speeds. 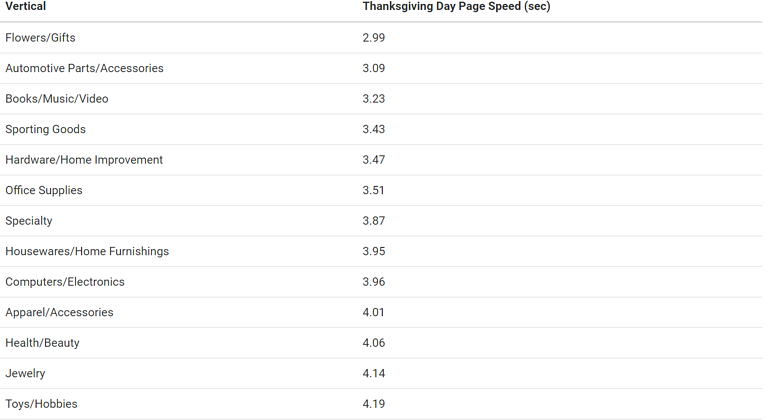 Fortunately, unlike last year, there were no major website outages on Thanksgiving. 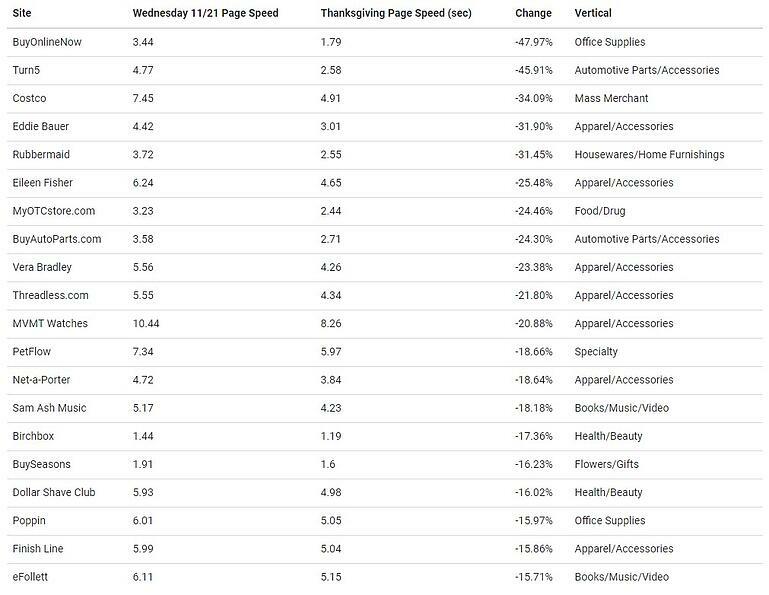 That said, many websites, including The North Face, Bebe, and 1-800PetMeds.com slowed down significantly on Thanksgiving. In the retail environment, a website slow-down can make the difference between a won or lost sale. 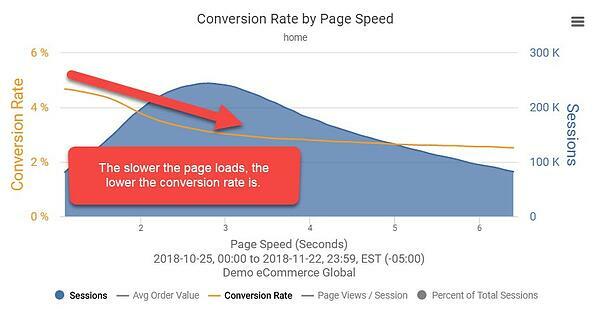 Marketing dollars spent getting people to a website are wasted when customers leave your site because of site speed issues. Speed matters, especially during the holidays. 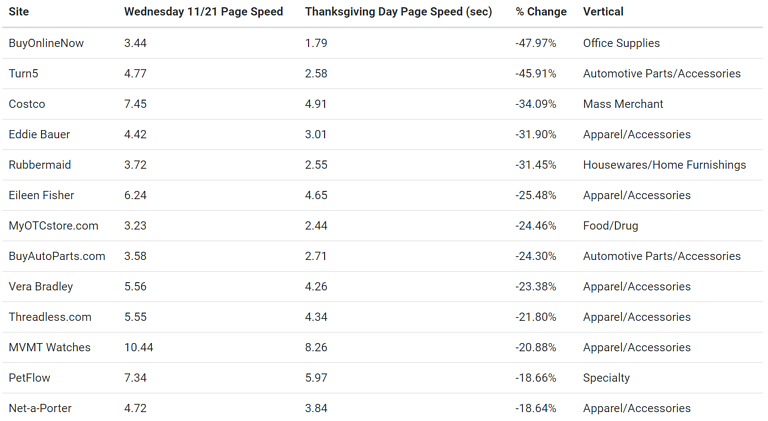 Who slowed down Thanksgiving Day? 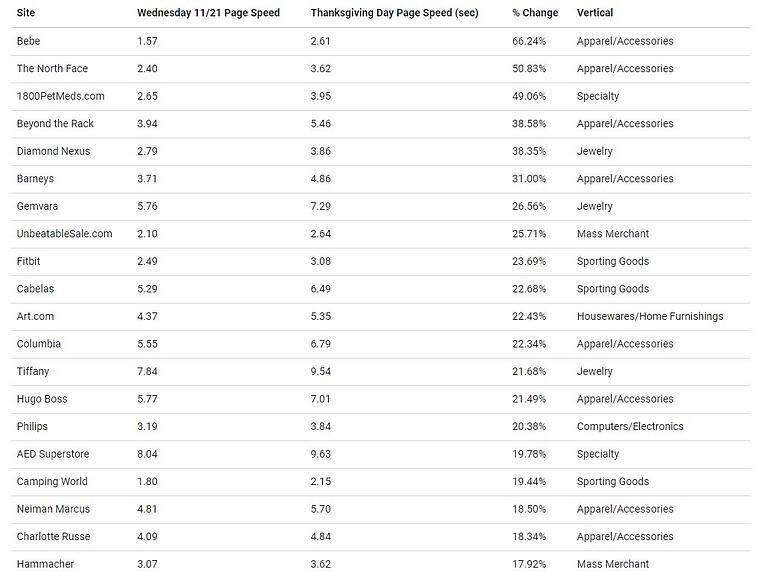 Who sped up Thanksgiving Day?